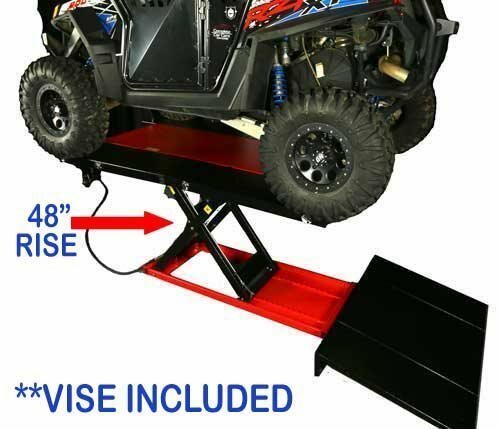 PRO 2500 48" Heavy Duty High Rise Air Lift Table for many vehicles including UTV, ATV, quad, trike, spyder, side by side, Motorcycle, 3 wheelers, 4 wheelers. PRO 2500 Front Extension is for use with the PRO 2500 Motorcycle Lift. It extends the main table by 16". The PRO 2500 is an air/hydraulic 48" Hi Rise Heavy Duty Lift Table, and is one of the most versatile lift tables on the market today. 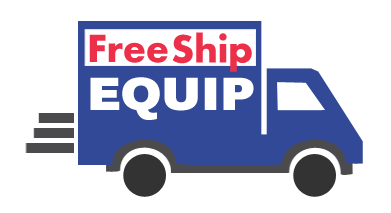 This heavy duty lift table includes free shipping! The package includes a 4 piece panel (quartered) side extension kit (15 1/4" W x 46" L) with 2 ramps 40" L x 15 1/4" W, and it is ideal for ATVs, UTVs, 3 wheelers/Trikes, spyders, 4 wheelers/quads, side by sides, even golf carts and other golf course equipment, as well as road /paving equipment, and other commercial use. Shipping Weight Wheel Vise (Boxed): 28 lbs. *Lift and side extension packaged in separate plywood crate. Air Control and Wheel vise packaged in separate boxes. PRO 2500 Front Extension is for use with the PRO 2500 lift tables. It Extends the main table by 16".